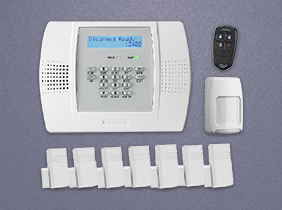 Get a Free ADT® Monitored Alarm System. Monitoring and maintenance services will be provided by ADT® Security Services Canada based on a 3 years agreement with ADT Canada. You will own ADT certified & approved brand new latest Honeywell equipment from the first day of your Installation. 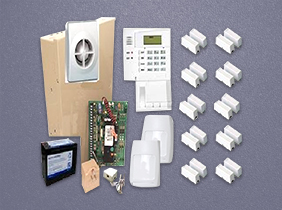 We have 18 Different ADT Monitored Packages for you to choose from in our Hardwired, Hybrid, and Two-Way Voice, Interactive and Video Camera Packages. MHB Security Services is an ADT authorized dealer offering Residential & Commercial Smart Security in Canada Since 2003. ADT was established in 1874 and has been an industry leader in home security providing quality care 365 days a year, protecting over 6 millions customers in North America. MHB Security has installation offices across Canada. You hope nothing bad will ever happen to your home or business. But if it does, it’s good to know ADT is on the job, ready to mobilize the help you need without delay. ADT-monitored security will provide you with the necessary equipment to grant you peace of mind while you’re home or away. 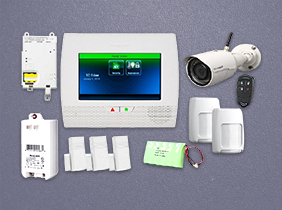 MHB Security currently has an online promotional offer for a Free Smart Home Alarm System, a Wireless Honeywell Security System, or Hardwired Honeywell Alarm System. Make your security system work for you all the time, not just when it’s armed. 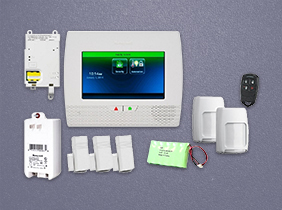 You can be alerted in the event of an alarm, know when the system is disarmed…. ADT monitored security systems give you 5 channels of protection: Burglary, Police, Fire, Medical Emergency, and Chime feature . Each provides a vital security service for you…..
MHB Security offers a wide variety of equipment add-ons to keep your home or business protected for all types of emergency situations that can arise….. The advantages of digital surveillance extend beyond your imagination as it is the answer to observing your premises and employee activities in the even…..
Watch how an ADT system can help protect your loved ones. Watch the different levels of protect, provided by ADT Canada. Honeywell Lynx Touch 7″ inch Touch Screen system is latest in technology. We are very satisfied with MHB Security. The staff was very helpful and the installation was done very professionally. I highly recommend MHB Security to those who are looking for a great alarm system with the most reputable name in the industry, ADT.